Statins represent an effective treatment for hyperlipidaemia. 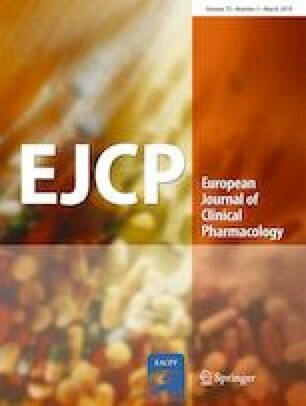 Immune-mediated necrotising myopathy (IMNM), a form of statin myopathy, has recently been described, and is characterized by elevated creatine kinase, presence of antibodies against HMG-CoA and no improvement after drug discontinuation, even with immunosuppressive treatment. Information on IMNM is mainly from case reports and small case series. Therefore, all reported cases of IMNM in VigiBase, the WHO global database of individual case safety reports (ICSRs) including the underlying reporting patterns, were analysed to characterize more detailed this adverse drug reaction. ICSRs of IMNM up to October 1, 2016 were extracted from VigiBase. Corresponding case narratives were requested from responsible national authorities to maximize the available data. The reports were analysed in terms of reporting criteria, co-reported terms, patient demographics, clinical data, administered medication, latency time, seriousness of the reaction and outcome. One hundred one deduplicated ICSRs of IMNM were reported from 17 countries until October 2016. Approximately two thirds of the cases were from the year 2016. Slightly more males than females were affected (52 [57%] males vs 39 [42%] females). Median reported patient age was 68 years (range 16 – 87 years). Ninety-one cases (99%) were classified as serious. Median latency time was 26 months (range 1 – 288 months). Median creatine kinase value was 6860 U/L (range 576 – 35,000 U/L). In total, eight patients (9%) had recovered from IMNM. Atorvastatin was the most frequently reported statin in 80% of cases. The number of IMNM reports has increased in recent years. IMNM associated with statin treatment seems to occur worldwide. Most IMNM cases were reported with atorvastatin. No dose dependency of statin-associated IMNM pathogenesis was identified. We would like to thank the following authorities for their assistance in providing anonymised case narratives of adverse drug reaction reports: Health Canada—Canada Vigilance Program; The staff of the US Food and Drug Administration; Australian Pharmacovigilance and Special Access Branch, Therapeutic Goods Administration; Italian Medicine Agency—AIFA Post-Marketing Surveillance Department; Czech State Institute for Drug Control; Hungarian National Institute of Pharmacy and Nutrition; German Federal Institute for Drugs and Medical Devices—Pharmacovigilance Department; Norwegian Medicines Agency—Department of Safe Use; and French Regional Pharmacovigilance Network and the Surveillance Division from the ANSM. The source of the information is the WHO database “VigiBase”. The information comes from a variety of sources and the likelihood that the suspected adverse reaction is drug-related is not the same in all cases. This information does not represent the opinion of the World Health Organization. The authors declare that they have no conflict of interest. SW is elected Pharmacovigilance Risk Assessment Committee (PRAC) member of the European Medicines Agency. The opinions expressed are those of the writers, and may not be understood or quoted as being made on behalf of the PRAC or reflecting the position of the PRAC.